McCully House #2 | Historic Jacksonville, Inc. When Dr. John McCully abandoned his wife Jane in 1862, he left her with 3 children and all of his debts. He also left her with the McCully House, the elegant home at 240 E. California Street in Jacksonville, completed the previous year. To survive, Jane turned to baking bread and pies—the source of the family’s income when they first arrived in Jacksonville. 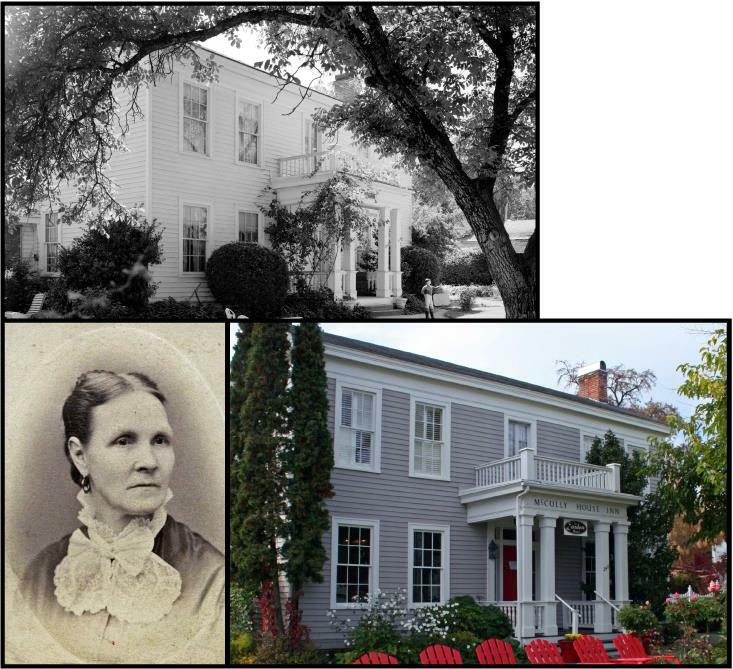 She leased the house to Amos Rogers for a boarding house, and in June of 1862 opened “Mrs. McCully’s Seminary” in the family’s old log cabin, the town’s first school for girls. Jane was a trained teacher, and her seminary was so popular that by the end of the year she took over the house for classes. Even after public schools were available, Jane provided advanced education for both girls and boys. She was the only teacher the children of many of Jacksonville’s prominent families ever knew. Most went on to university, ranking at the top of their classes.